One of the most important factors for safe travels on the travel trailer is the tires. People tend to overlook this subject until something went wrong and they have to desperately look for alternatives. 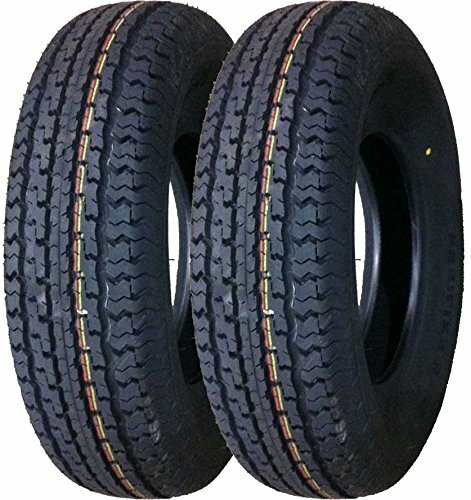 Well travel trailer tires are not going to last forever, you need to look for replacements at some point. That process can be an annoying and frustration one though because you don’t have much knowledge about it. When there are tons of tires to choose from, each one is unique in design and construction, which one is the type of tire you need? The best travel trailer tires for you are the ones that can match the trailer characteristic and your personal requirements. If you just randomly pick a set of tires without considering everything, it’s going to be a waste of money. Unsuitable tires can be potentially dangerous on the road too. Feeling confused and don’t know where to start? In that case, this article got just the thing for you. You will see what are the features and specification that you want to have in the tires. 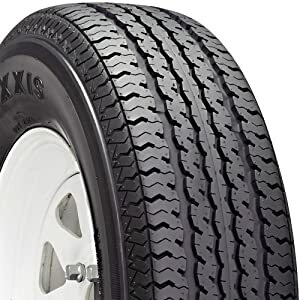 Along with that are some of the best travel trailer tires around for you to consider. A tire that is either too small or too large to be used for your travel trailer could easily lead to accidents. The tire manufacturer often compiles and provides a size chart so that you know which size is good for your vehicle. There are also third-party size charts available but these are not always reliable and precise. If you want to be absolutely sure, measure the tire by yourself then consult the trailer customer service. They may even provide you with additional information about other specifications too so give them a call if you are in a tight spot. Each tire can only support a definite amount of weight and load on its own. If you get tires that can’t match your trailer weight and your load requirement, it may lead to disastrous results. At the very least, the tire will degrade much faster due to inappropriate Weight and Load rating under continuous use. This means you have to look for another set of replacement tires in a rather short period of time. The constant stress will eventually break the tire and you better hope that the trailer is not in traffic when it occurs. The weight and load rating of a tire depends entirely on its pressure when inflated. Many people think that by reducing the pressure, the tire will offer you a smoother and softer ride on the trailer. Others say that increasing the pressure will raise the tire Weight and Load rating. Unfortunately, both of these are completely wrong and should not be applied in any circumstances. Modifying the tire pressure without detailed instructions from professional or strict procedures compliance will often lead to unforeseeable situations. One more important thing about the tire pressure is that it can be affected by other factors. The height and temperature of the travel trailer location are influential elements to the tire pressure. Expect a pressure rise of 0.7 psi for every temperature increases of 10 degrees Fahrenheit. Every tire got a speed rating base on factory standards. Pressure also impacts the speed that a tire can maintain in normal condition. To put it short, when the pressure increases, the speed will decrease. There are several types of tires that can still preserve the Speed rating even when the pressure has exceeded the authorized limit. However, usage of these tires must only come after advising and consultations from experts. The average Speed rating of a tire nowadays is around 104 kilometers (or 65 miles) per hour. 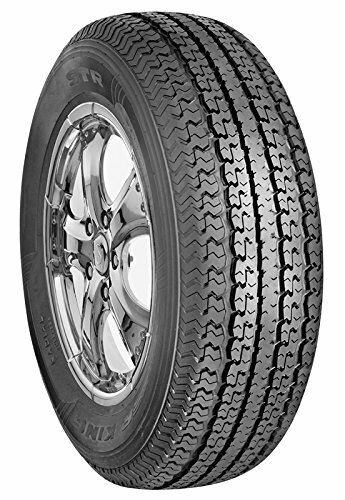 At 28 lbs and 75$, Trailer King tire is a lightweight and affordable option for your travel trailer wheels. At such a price, the quality of this tire is still respectable and offer great endurance. The tire track, grip and stability are totally worth more than its price. Its shoulder portion is reinforced to provide better resistant against heat. The manufacturer produces fresh batches of tires regularly so you could get your hand on the newest product quickly and effortlessly. You can use them for years and they still work extremely well without any notable issue. The most expensive tire on this list, it did offer many unique features that can assist you in the long run. The tread design utilizes an advanced compound that decreases rolling obstruction and lengthens its lifespan. Perform admirably at absorbing shock and handing bumpy road. The twin steel reinforced belt strength the tire integrity. A great investment if you want to look for a high-end product. You can expect to use this tire for quite some time before you have look for something else. Posses a nylon cap that wraps all over the tread, this tire pays a lot of attention to the user safety. Its performances are reliable and smooth which is a lot better than most products in the price range. The fuel efficiency and tire traction are excellent. A really good investment and well spend money. 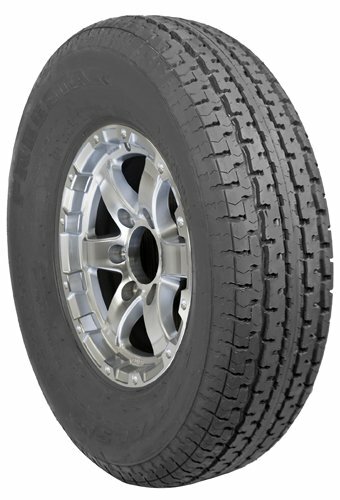 For an average travel trailer tire, you will be surprised at this product quality and design.